Structural ceiling plate includes integral high density rubber decoupler assembly to help prevent vibrations from damaging the equipment mounted. Unit has 1 1/2-11.5 NPT fitting for attachment of fixed or adjustable length extension column. 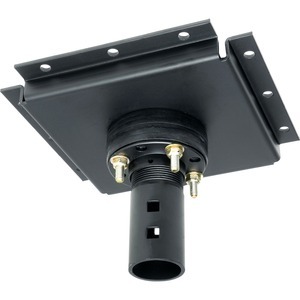 Ceiling plate attaches to concrete beam, slab, or other structural member. DCS400 supports multi display installations.